Whether you use your fireplace or not, the fireplace and chimney are a substantial system that impacts both the value and safety of your home. 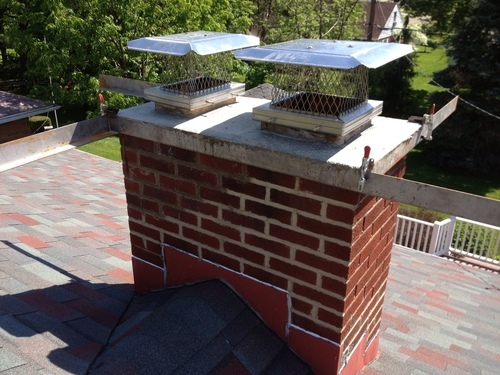 Our staff is very experienced at chimney repair and restoration. 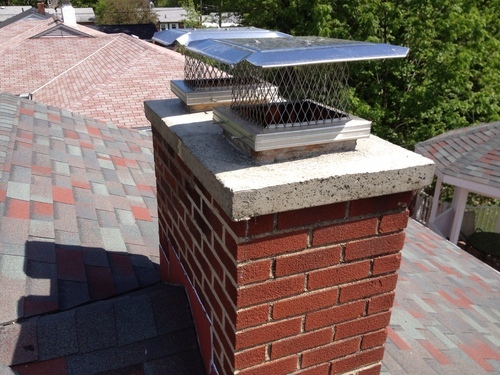 Is your chimney deteriorated? Is your chimney unsightly and in need of a face lift? We have several masons on full time staff ready to beautify and restore your chimney. The exterior condition is important to protecting your home from water intrusion. We want the chimneys we rebuild to last! The most important part of the job is the masonry crown sometimes called the wash cap of the chimney. This is the area on the top of the chimney that should be made using concrete. Many masons go the cheap easy route when building the crown. Many use plywood to fill in the gap between the tile and the brick then simply build the crown with the left over mortar that was used to lay the bricks. Mortar was never intended to be used like concrete. It lacks the strength and durability of concrete. Also when a mason puts an economy crown on the chimney, the edges tapper down to nothing. When a crown is formed this way, it offers little to no protection for the brickwork. Many of these crowns crack before the mason has even packed up his tools and left the jobsite! We offer a crown that will offer a lifetime of protection and beauty! In the 30 years that we have been servicing this area, we have noticed that some chimneys that are less than 20 years old are needing major repairs, but other chimneys that were built over 100 years ago still do not need repair. We started taking a close look at these chimneys. We noticed the older chimneys that were still in good shape had one thing in common. They all had thick concrete crowns that were built using forms that hang over the edge of the brick work. So we went back to the old ways of doing things. Our company is concerned about the safety of your home and we are concerned about the safety of our employees while they are working at your home. Our lead mason is OSHA certified in scaffolding setup. We have the equipment to do the job properly and safely. If you are unsure of the condition of either your fireplace or your chimney, we'll happily provide you a free in home evaluation.